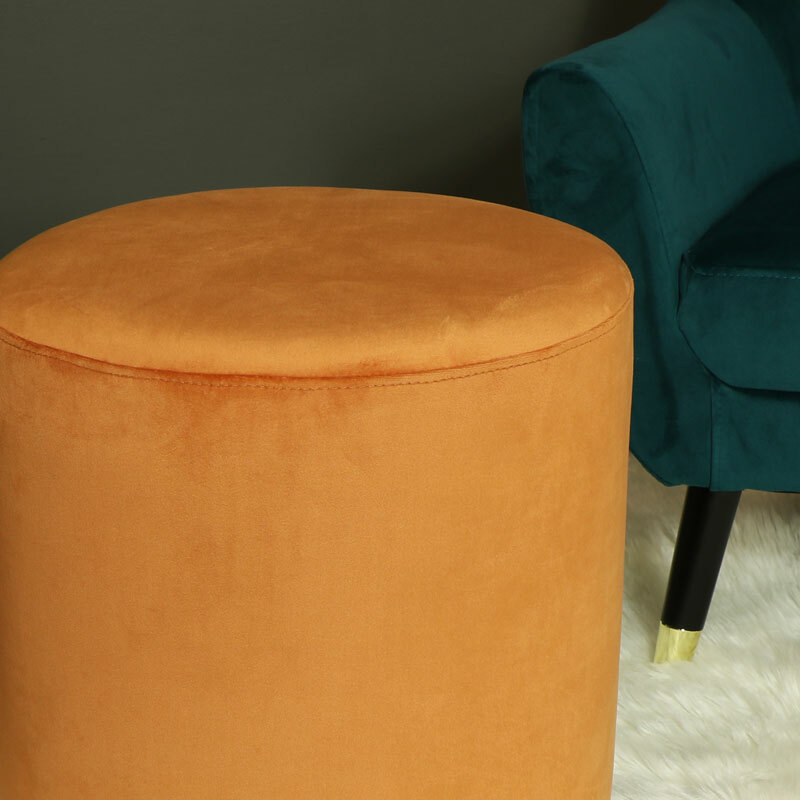 Chic & stylish terracotta orange upholstered boudoir stool with polished gold base. Beautifully designed with comfort in mind for the contemporary & modern interior. Perfect for the bedroom as a dressing table stool or occasional seating or can be used in the living room as a footstool. With plenty more velvet upholstered stools, chairs and benches in a fantastic choice of colours. This stool will make a stylish addition to any home interior with the orange adding a splash of colour. 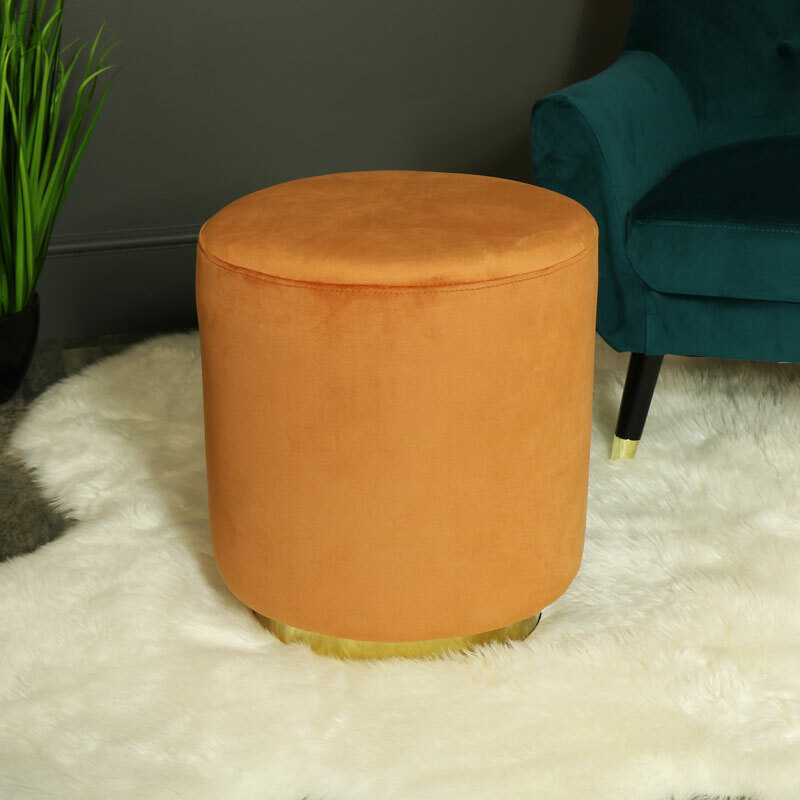 Chic & stylish terracotta orange upholstered boudoir stool with polished gold base. Beautifully designed with comfort in mind for the contemporary & modern interior. Perfect for the bedroom as a dressing table stool or occasional seating or can be used in the living room as a footstool. With plenty more velvet upholstered stools, chairs and benches in a fantastic choice of colours. This stool will make a stylish addition to any home interior with the orange adding a splash of colour. Upholstered in a luxurious terracotta ornage with a polished gold metal base. This stool comes fully assembled so need need for fiddly fixing together, simply unbox and place where needed.